This Heavy Duty professional contactor is designed for an eight Light Room with limited access to mains power sockets or 8x 600w Lamps. Each socket has its own power switch with an independent on/off switch. 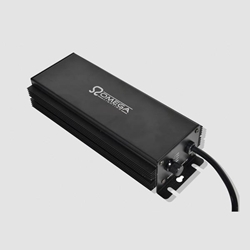 This design is ideal to leave all equipment, i.e Ballasts plugged in, so no need to remove any plugs. 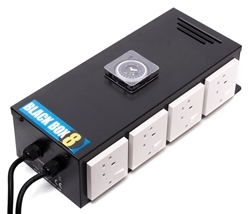 The Black Box is fitted with a mechanical timer. 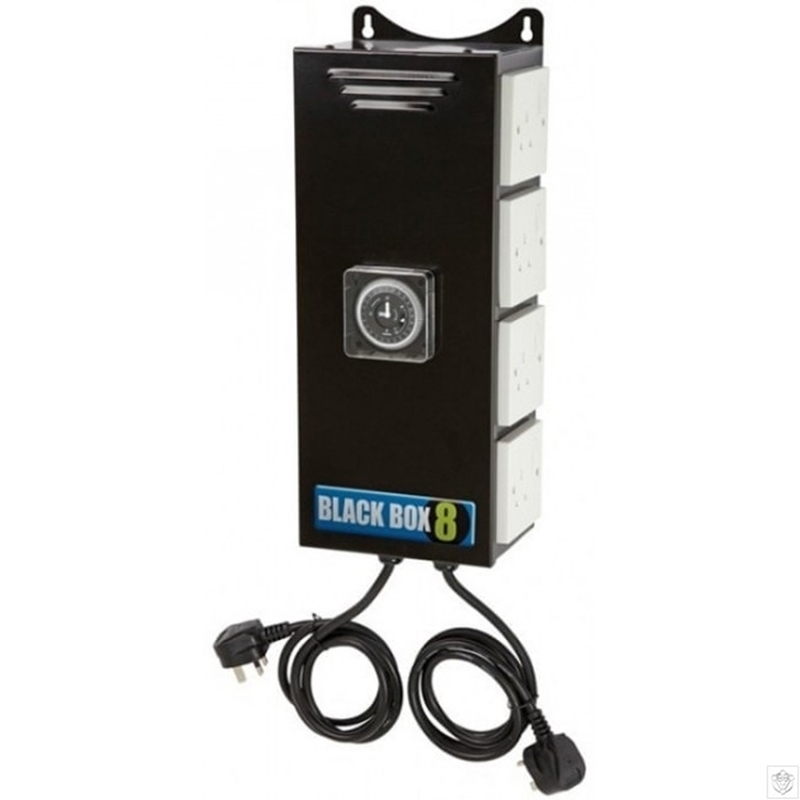 This reliable contactor ensures that your lights turn on/off safely, meaning you can leave your grow room running without having to be there.  You should always match the switching load to the Black Box with the same amps rating. 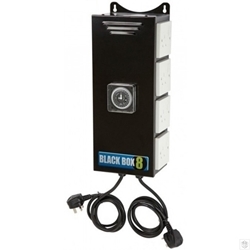 For example, 2 x 1000w Sodium power packs = 10Amps running current (switching load) so a 13Amp Black Box control unit should be selected.